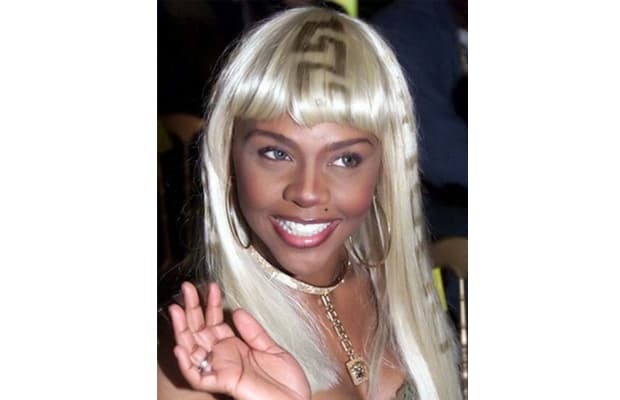 Complex says: Lil Kim was known for her blonde and colored wigs as much she was for her lyrical skills. In her 1997 video for "Crush On You," she wore wigs in every color imaginable. The real wig-game-changer, though, came a few years later with this custom Versace print wig she wore to a Versace fashion show. We all knew Kim had an affinity for Versace; we just didn't know it was like thaaat.